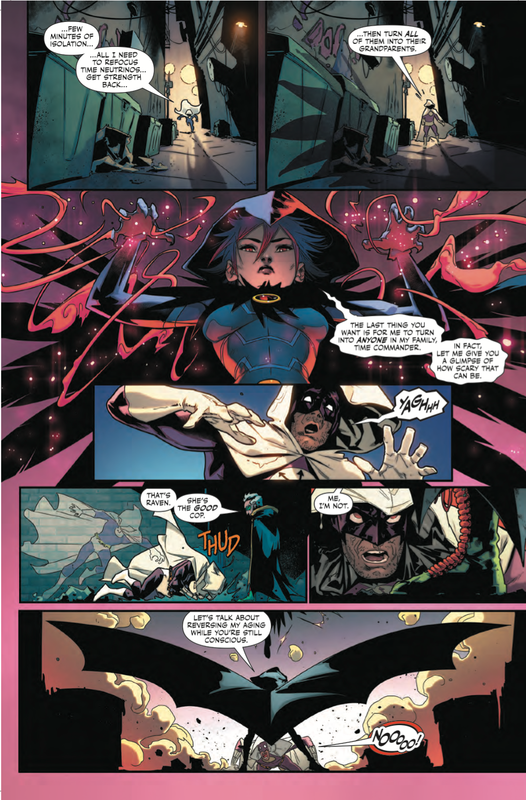 So, Damian is still old because of the Time Commander and it’s hilarious. He can’t stay out of the bathroom for too long without needing to go again. Because of this, the Titans are just sitting around waiting for him to be done. 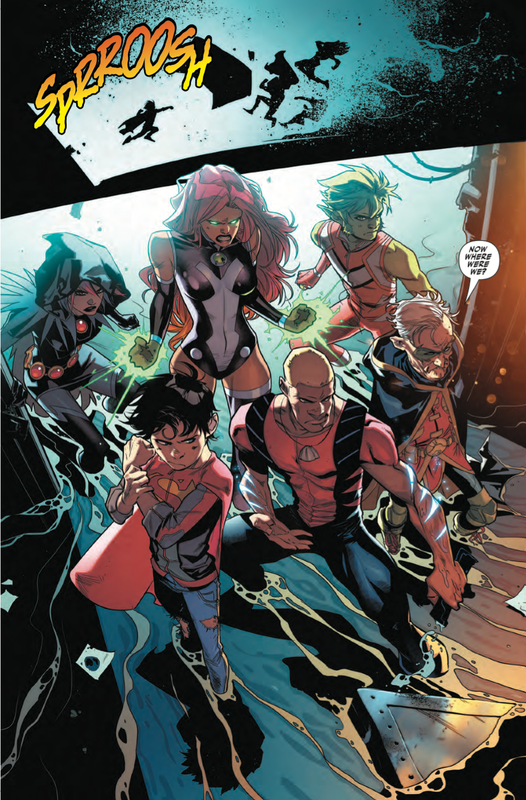 They finally get back into battle so Damian can be turned back to a teen and take care of the henchmen of Kraklow, the self acclaimed greatest magician ever. He has a really cool backstory where an alternate version of himself gives him magical clay to warp it into any bad guys that he wants to create. That’s how Atom Master, Time Commander and Faceless Hunter are created. These “Forgotten Villains," as Kraklow dubs them, look awesome and remind me of '90’s villains in their design. 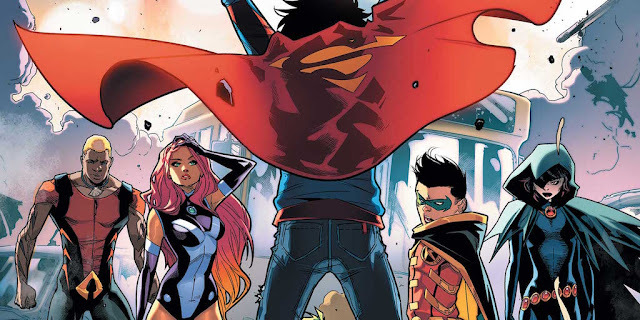 Super Sons #7 is so much fun. Tomasi does a great job writing these characters with fun moments and dialog while Jimenez provides such amazing art, some of my favorite art in all of Rebirth. 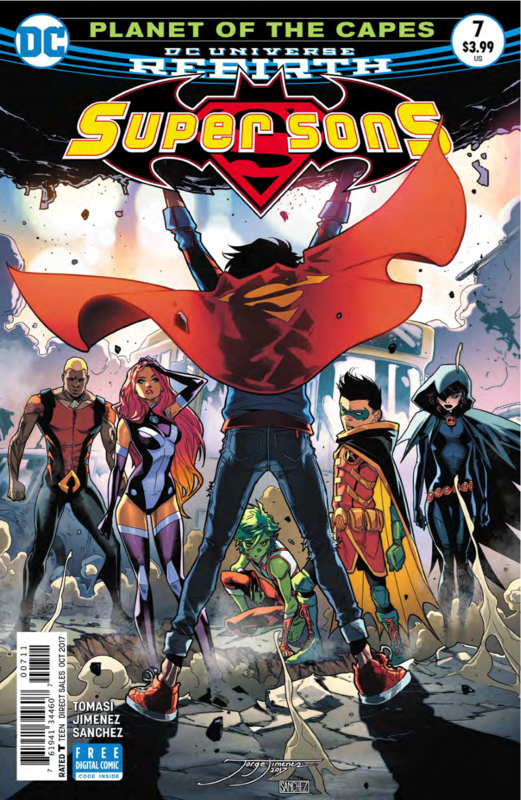 This issue makes me wish Jon was a teen already so he can join the team but what we get in this issue is good enough for the time being.